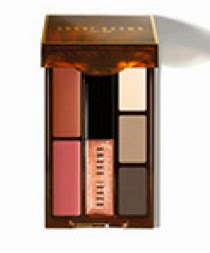 Here's a sneak peek at Bobbi Brown's holiday 2014 collection, due out on 17 October in Japan. 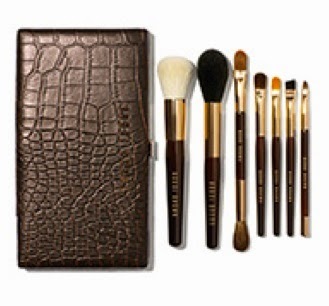 Travel Brush Set (13800yen): Brown leather case with crocodile motif and gold accents. 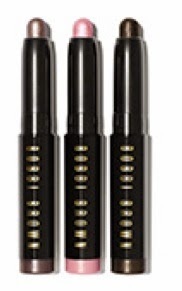 Includes a face blender brush, sheer powder brush, concealer blending and eye blender dual brush, eyeshadow brush, eyeliner brush, eyebrow brush and ultra fine eyeliner dual brush. Mini Lip & Eye Palette (4000yen): Contains Lip Color in Brown and Natural Pink, High Shimmer Lip Gloss #15 Bare Sparkle, Eyeshadows #51 Ivory, #29 Cement and Black Chocolate. Cool Eye Palette (6200yen): Contains Eyeshadows in Ivory, Smoky Grey, Almond, Smoked and Metallic Eyeshadows in Pink Quartz and Marble, plus a dual-ended eyeshadow/liner brush. 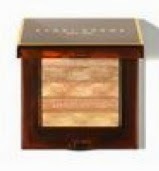 All products are limited edition.